One of the major achievement of the Forum was to advance on the completion of a compendium of Case Studies that can be used as a resource for public authorities and other stakeholders involved in the preparation of PPPs. Each case study describes the relevance of the project with regards to the SDGs and to what extent it can be considered best practice. The objective is to reach a library of 500 case studies which will cover all regions, sectors and typologies of projects. In this background, a few reference projects had been selected by UNECE secretariat for presentation in Hong Kong. 4IP was chosen to deliver a renewable energy presentation and described the Noor solar power project in Morocco. This project can be considered as a reference as it paves the way to innovative technology (Concentrated Solar Power), astute financial schemes based on blending of concessional and private finance designed to minimize financial cost, industrial integration and optimization of spill-over for Moroccan economy while it takes into account the local communities. The Forum participants showed considerable interest for the structuring of the project. Another model case study to be added by 4IP to the case study compendium is the Dakar toll road (see here). A topic of particular significance addressed at the Forum was the China-led One Belt One Road (OBOR) initiative. The related debate focused on how the international community can support China to operationalize its OBOR initiative and develop more People-First PPPs. OBOR is still in an early phase and participating countries are invited to select the projects they would be willing to include in the program. However it is particularly important that the People-First principles are taken into account from this early phase to ensure that the vast amount of capital involved in the initiative will have the maximum impact on the affected population and will contribute to the SDGs. 4IP has entered into contacts with representatives of some of the 53 countries involved to discuss how the company’s experience could be mobilized to support the achievement of SDGs. The overall tone of the debates was consensual. All participants agreed that PPPs and the mobilization of private capital are necessary to achieve SDGs at the 2030 horizon. However some participants addressed criticism to many PPPs stating that they were not in all cases the most relevant tools to achieve the intended objectives. Some sectors such as water (water distribution, water treatment) appeared more complicated than others in this regard. Once again project preparation is key to deliver robust projects that will deliver equitable and inclusive outcome. The use of UN Guiding principles, sector standards and case study compendium can already provide a basis for initial assessment of how a project can be structured in addition to the support of experienced advisors. 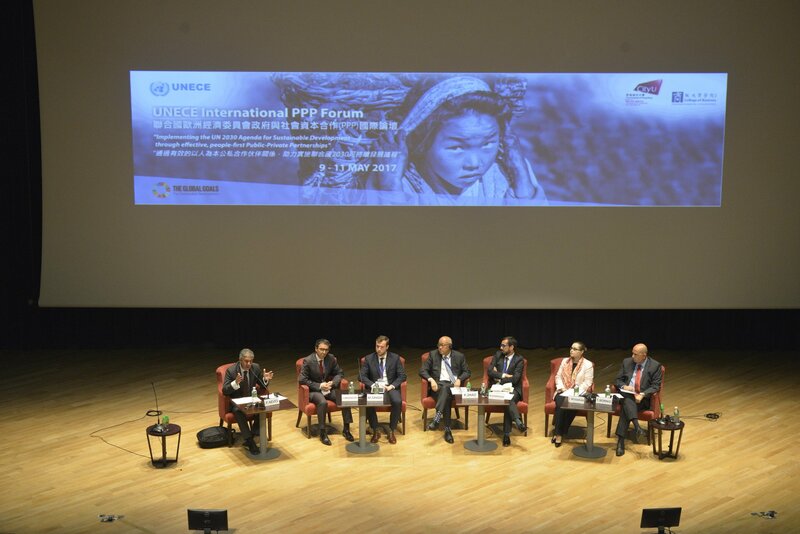 4IP Group will continue to support UN bodies and public authorities to design and implement solid People-First PPPs agreeable to all relevant stakeholders in the developing world.